This Wildcrafted Oil is extracted from Mentha of the Labiatae family that is also called common or garden spearmint and spire, green, lamb, pea and fish mint. This oil is gentler to use with children and highly useful for digestive system and helps to relieve flatulence, constipation, vomiting and nausea. It contains a-pinene, b-pinene, carvone, 1,8-cineole, linalool, limonene, myrcene, caryophyllene and menthol. A top note with a medium aroma, it has a characteristic scent that is sweeter than the minty aroma of peppermint. This Wildcrafted Oil is highly useful to deal with digestive problems such as constipation, flatulence, diarrhea and nausea. Further, it also helps with headaches, migraines, nervous strain, fatigue and stress. 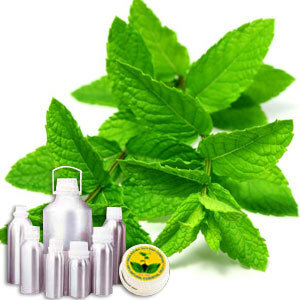 It is also used for various skin problems such as acne, dermatitis, congested skin and sore gums.